Sunshine Kelly | Beauty . Fashion . Lifestyle . Travel . Fitness: Every Minute Matters This Chinese New Year! Huat Ah!!! Well you hear this very often before and during Chinese New Year or especially when tossing Yee Sang or Lou Sang. The word ‘Huat Ah’ basically means prosperous yo! 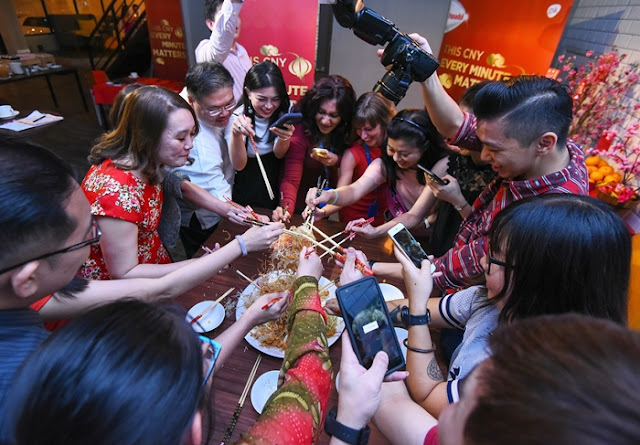 For urbanites like us usually Chinese New Year is the time that we go back to our hometown and celebrate with our family members and also our childhood friends. Cherish the moments and Every Minute Matters This Chinese New Year! As you know prior to Chinese New Year there are many preparations to be done. Now my mom only in charge of cooking, we took over the shopping, groceries and spring cleaning duty. When we were still schooling or young, my mom have to do most of the preparations by herself, now it’s a bit relieved for her as we took over some the responsibilities. 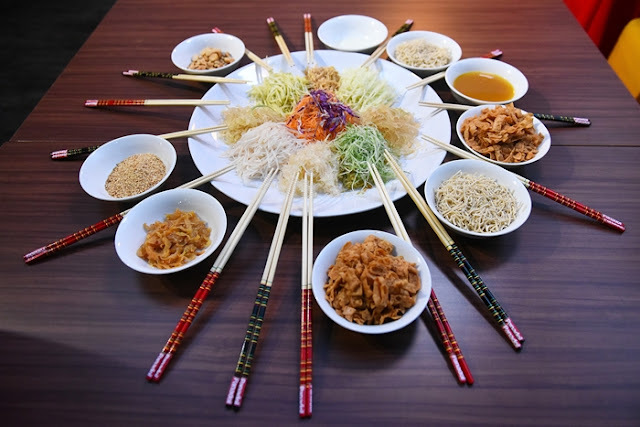 Lou Sang Every Minute Matters This Chinese New Year! I forgot how many trips I drove to the hypermarket and supermarket. The tedious spring cleaning, changing the curtains, cushion covers, table cloth, and many more. Well it might be tiring but we are happy and excited especially my mom. I can’t wait to meet my all my family members, and friends. 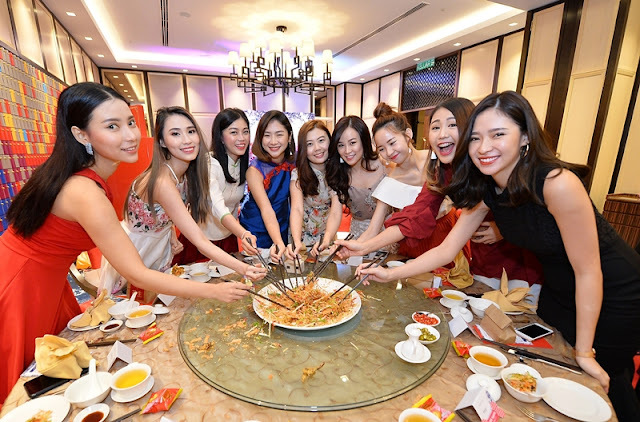 I only get to meet them during Chinese New Year reunion because some of them have migrated abroad. I also enjoy Lou Sang, makan-makan and chit-chat session with friends in Kuala Lumpur. However due to all the workloads, preparations and bad weather sometimes I got headache, body aching or fever. Glad that I have Panadol ActiFast that work and absorbed twice as fast to relieve the pain. So that I am able to enjoy the Chinese New Year celebration and moments to the fullest. 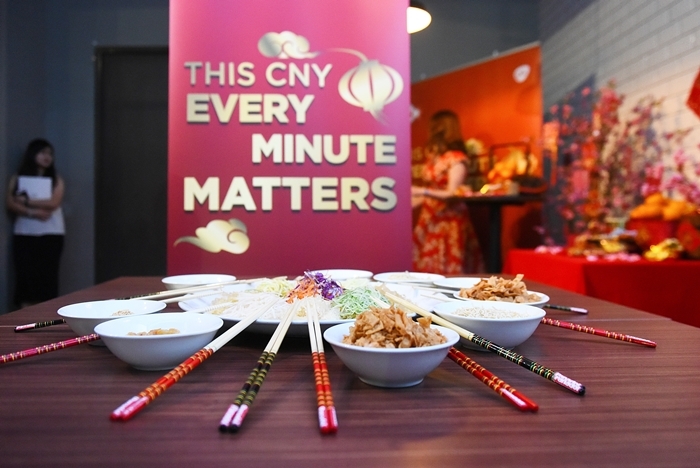 Panadaol ActiFast: Every Minute Matters This Chinese New Year! This Chinese New Year, Panadol ActiFast is helping you get back to the moments that matter, quickly. Buy RM15 worth of Panadol at any Guardian store and Whatsapp/MMS your receipt to +6011-11266 930 by 2nd March for your chance to win a trip to Disneyland Hong Kong or RM500 worth of shopping vouchers. Every submission will receive a special gift. I always bring this along during travel abroad. It heal fast if desperate in pain. When its comes to festival celebration, too many work to do and sometimes until getting headache or tiring..me always take panadol actifast and a must in my handbag.. Agreed with you. Every minute really precious for us to spend with our family and friends. wow it's nice Happy Chinese New Year of the world's best lucky this year and bring more happiness and wealth to Kelly. Meriahnya.. By the way Happy Chinese Nee Year to you kelly and your family. Memang simpan dalam fist aid. Happy Chinese New Year lengluiiii Kelly! Indeed, in every occasion or any festive seasons, time constraint always be our major problem..hahaha...so, do we still have time for sakit kepala? hahahaha! gong hei fatt choi.... many happy returns!!! never thought panadol also having this campaign to promote and rebuild awareness of their brands ya.. keep it up panadol!! Happy CNY! Hope you enjoyed ur cny all the while.. truely, every min matters..